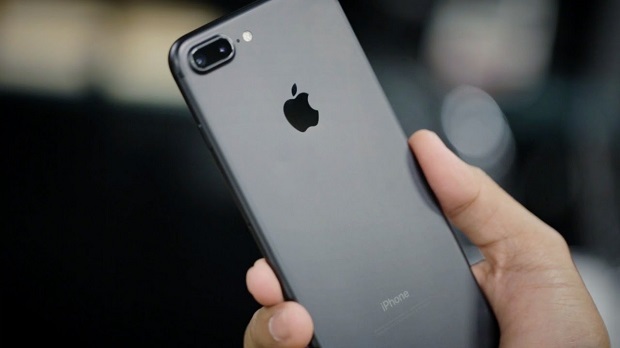 The #Apple #iPhone7Plus is the latest flagship model of the company that is currently the best iPhone model that you can get. What sets this phone apart from the other iPhone models is that this phone now sports two 12 MP cameras that are great for taking 2X zoomed shots as well as depth of field shots. This phone uses the latest A10 chip which offers desktop class performance when combined with its 3GB of RAM. Although a lot of people are using this device as their reliable daily driver there are instances when certain issues can occur which we will be addressing today. In this latest installment of our troubleshooting series we will tackle the iPhone 7 Plus battery drains very fast issue & other related problems. Problem: I just got my Iphone 7 Plus last month but i find that the battery drains really fast even though i close all my apps if i’m not using my phone. Sometimes my phone lags and i’m not sure why this happens because it doesn’t happen to my previous Iphone 6. can you help me with this? Solution: Did you notice if this battery drain issue occured right after installing an app? The app might be refreshing constantly in the background which will result in the battery draining. You should try uninstalling this app as it could be the one causing the problem. If the problem isn’t caused by an app and since you are also experiencing a lag issue then I recommend that you backup your phone data then restore your phone as a new device. Once the phone has been fully restored do not install any apps yet. Try to check first if the issue still occurs. If it does then you should bring this phone to the Apple Store and have it checked. Problem: I have had my iPhone 7 plus for 3 weeks and have noticed that the battery capacity isn’t great even though I purchased for its brilliant battery reviews! The other night I forgot to put it on charge so by the morning it only had 10% left. I continued to use it until 3% and thought I had better put it on charge. However, it didn’t appear to be charging. The phone turned off, I connected it again to a charger and the big battery picture appeared with red at the bottom but it wasn’t charging. I continued trying a number of different leads, points including my computer- each time the battery showed up but after a few hours it totally died and won’t wake. I have attempted all suggestions from your troubleshooting screen but nothing is working. I have been out to the Apple Store and apparently there isn’t any detectable current. Any suggestions would be much appreciated, as I have 20 photos and 2 videos I am desperate to retrieve prior to handing back to the Apple Store for a replacement. I was hoping the phone could be woken up long enough for me to take the photos and video (battery or connection point could be replaced)????? Solution: You won’t be able to retrieve the stored photos and videos in your phone unless it is turned on. If you have activated the iCloud storage sync of your phone then you should try to check if the photos and videos have been saved in your iCloud Photos. The best thing to do right now is to have the phone fixed. If the problem is caused by a faulty battery or charging port then your personal data stored in this phone will not be affected.